Police in the suburbs of Kansas City said that a suspect shot two contract workers at an elementary school, leaving them in critical condition. 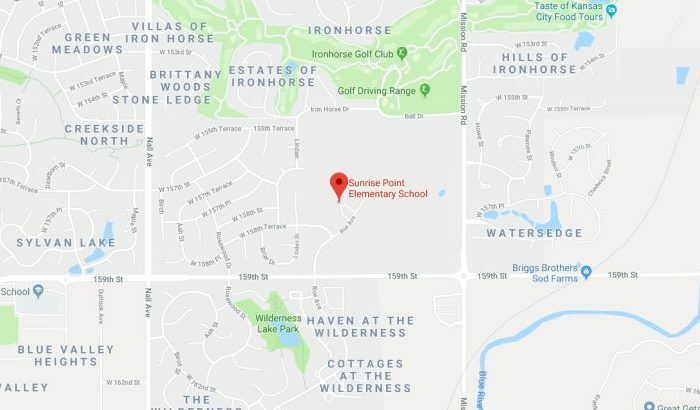 In the shooting, two workers outside Sunrise Point Elementary school in Overland Park were wounded, Overland Police said in a statement. The shooting occurred at 9 a.m. local time. Fire and medical personnel found two male victims in the playground near the school, said police. Both were taken to a nearby hospital “in critical condition with gunshot wounds,” police said. Officers “have determined the shooting was between employees of a contractor that was installing equipment on the school’s playground,” said police. At the time of the shooting, class was not in session. One of the workers got involved in an argument with the victims, which resulted in the suspect shooting two of the coworkers, according to police. CBS News reported that the workers were renovating the playground when the shooting took place. There were six workers there in all. The suspect then fled the scene and tried to carjack a vehicle, which failed, according to officials. Then, the suspect carjacked a black SUV and fled the scene of the crime. The names of the suspect and the victims were not released by police. “We have surrounded a home near W.159th and Rosewood. This is relation to the shooting. If you live in this area, please lock your doors and report anything suspicious. I will give the all clear. Stand by,” wrote police spokesman John P. Lacy. Update: We have surrounded a home near W.159th and Rosewood. This is relation to the shooting. If you live in this area, please lock your doors and report anything suspicious. I will give the all clear. Stand by.